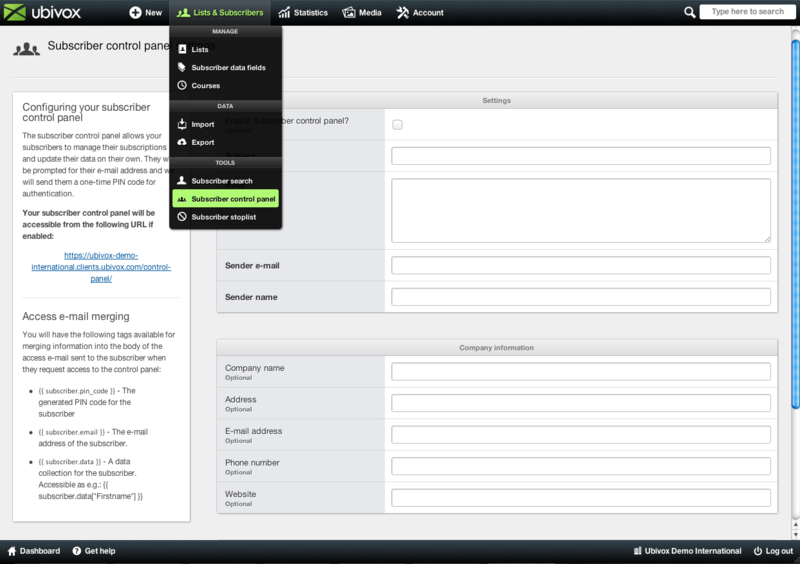 The subscriber control panel in Ubivox, gives you access to include a link in the newsletter, that the subscriber can click on to update their contactinformation in Ubivox. If you only have the e-mail on your subscribers, and would like to have their names, zip code, gender or interests, which can be used in mailmerging or segmentation, then this tool can be of great value. To encourage your subscribers to update their information, you can for instance, issue a prize among the subscribers, for all updating their information within a specific date. 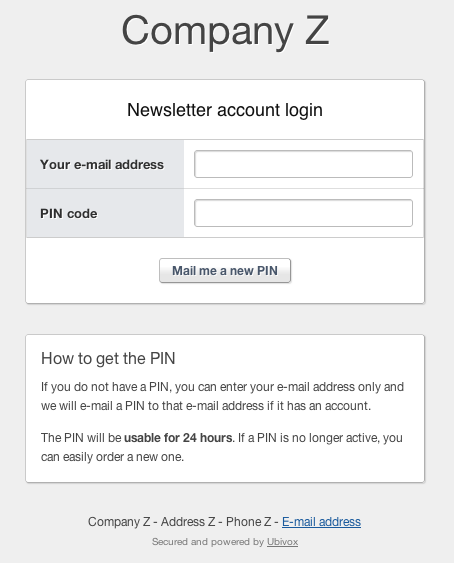 The unique account for each subscriber is protected by a password, which they receive when they enter their email, at login. Fill out the fields. 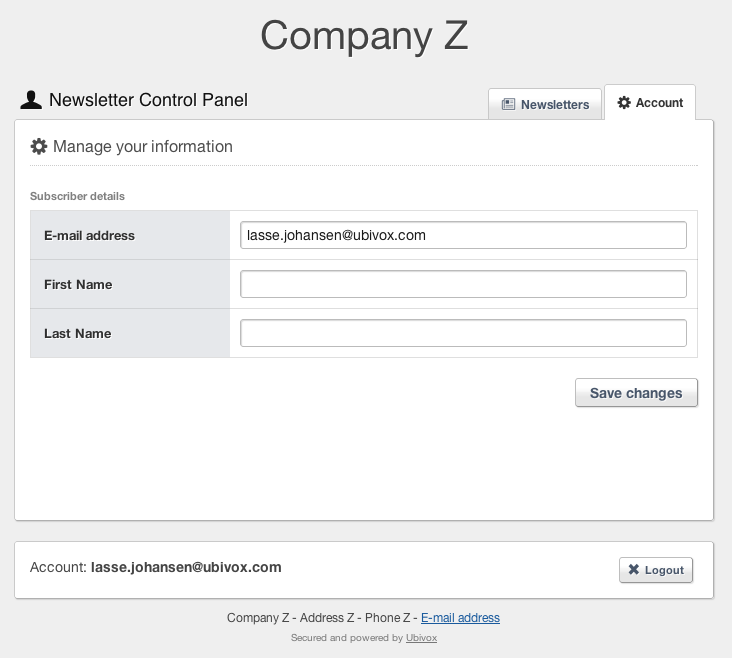 It is the e-mail sent to the subscribers when requesting the password, and your company information. Insert the mailmerging codes on the left side of the system. The PIN code is mandatory. After saving, click the link on the left side, which is the one to be inserted in the newsletter, and the subscribers will get access through. 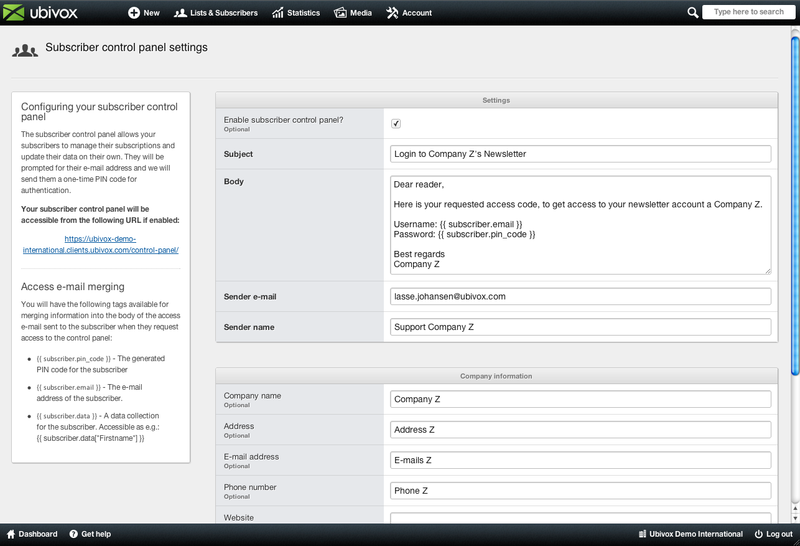 You will then enter the login page, as your subscribers will see it. They will then receive an e-mail with the PIN, that we filled out earlier. 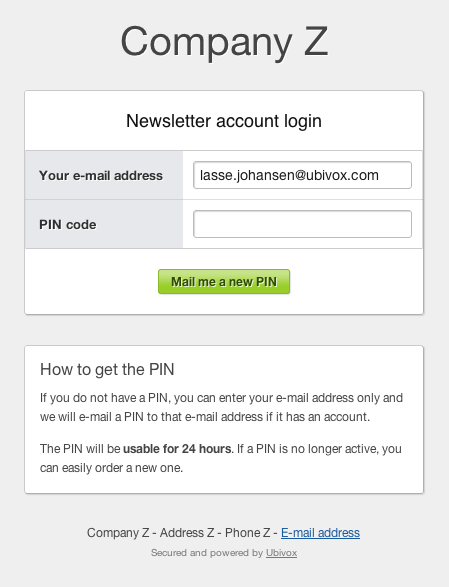 They can then enter the PIN, to login and update their information. You can add an unlimited number of data fields, to collect data from your subscribers, interests, zip code, gender, phone etc. 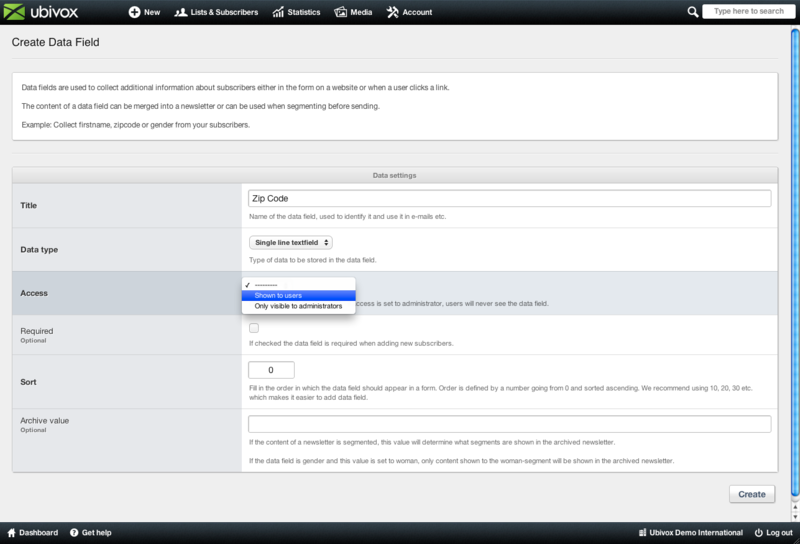 If you wish to add more fields, then go to the menu Lists & Subscribers -> Subscriber data fields. 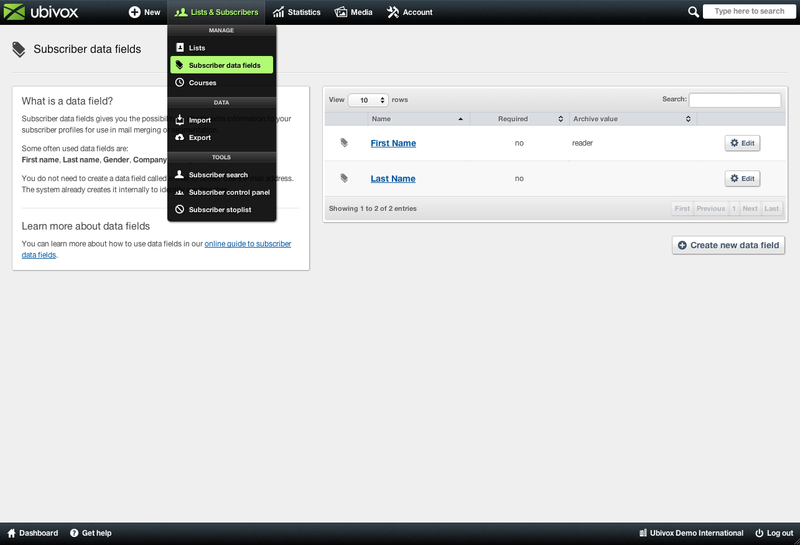 Then click Create new data field or edit an existing data fields Access to Shown to users instead of Only visible to administrators. 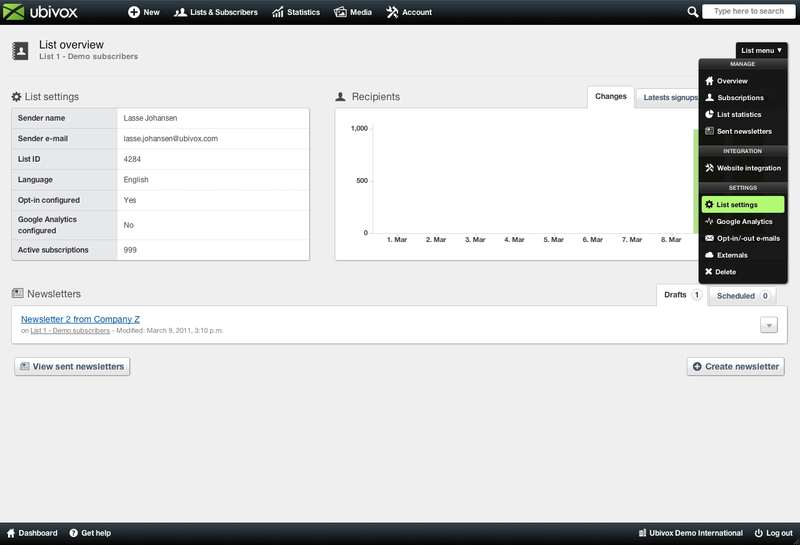 All data fields with Access set to Shown to users will be visible in the subscriber control panel, when a subscriber logs in. We have in this example added Zip code to the list. In the other tab, you can find the newsletters the subscriber has received earlier. 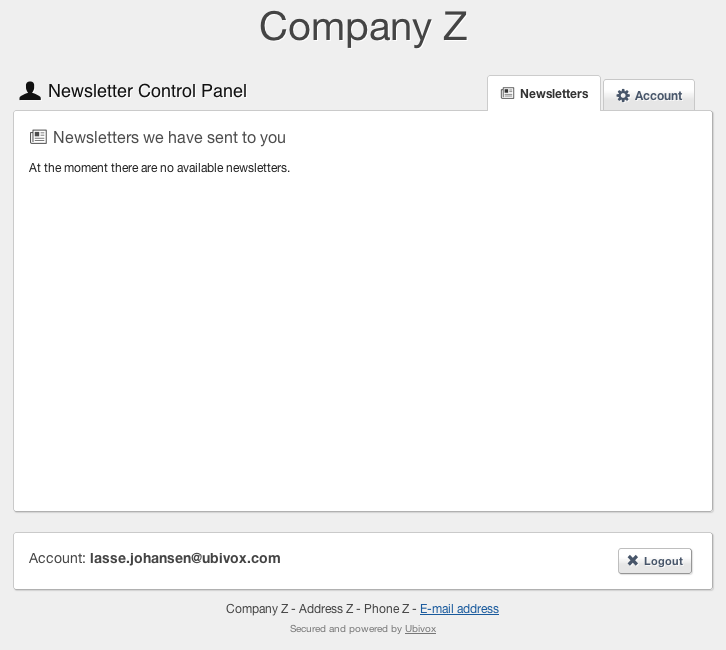 To make the newsletters visible, you will have to choose the lists you want to be visible. 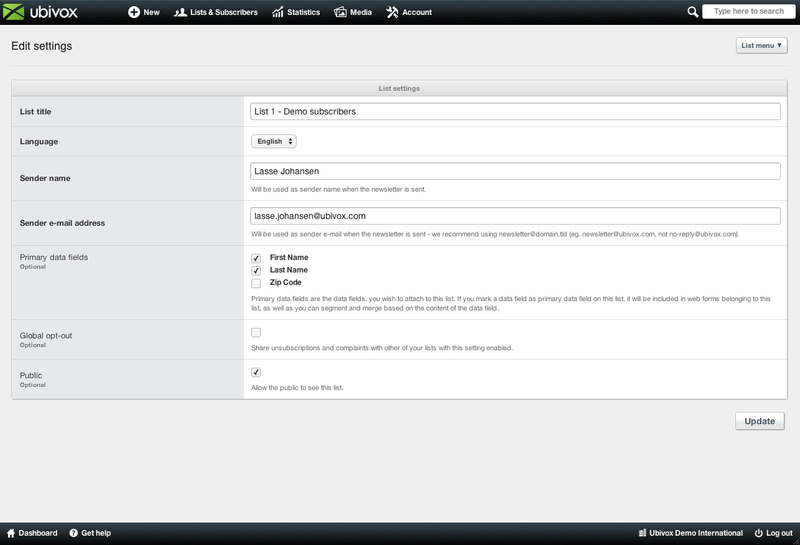 Click on the list/lists you would like to be visible in the subscriber control panel. 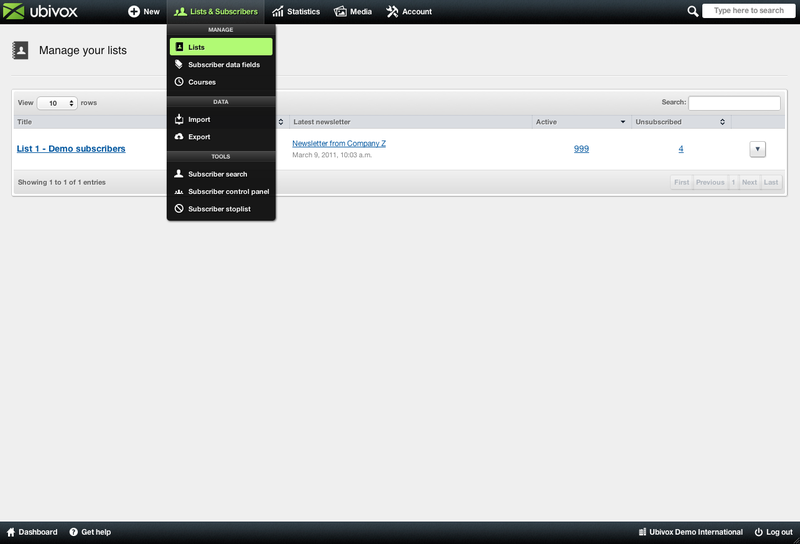 Then go to List menu -> List settings. Then choose the list to be Public. The newsletters sent to the subscriber from that list will then be able to see the newsletters, as follows. 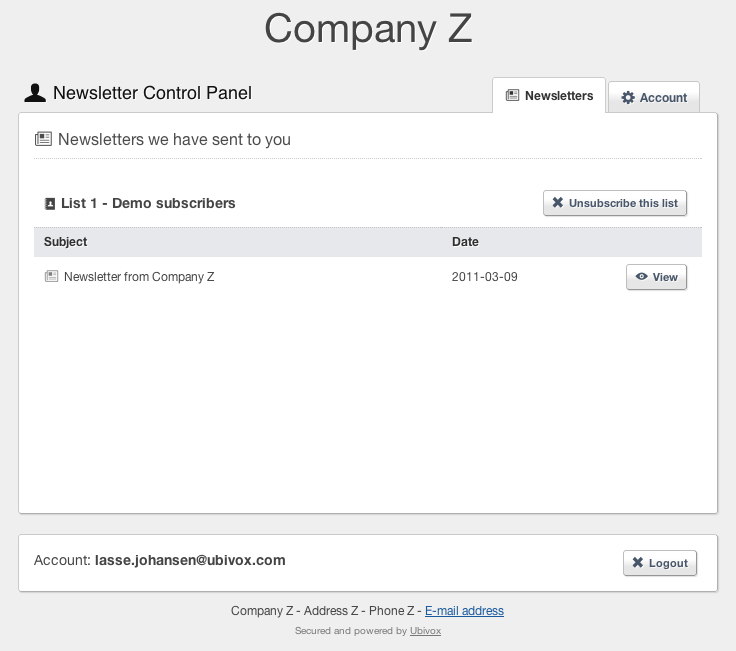 Remember to consider the name for list, here saying List 1 - Demo subscribers, find an appropriate name. 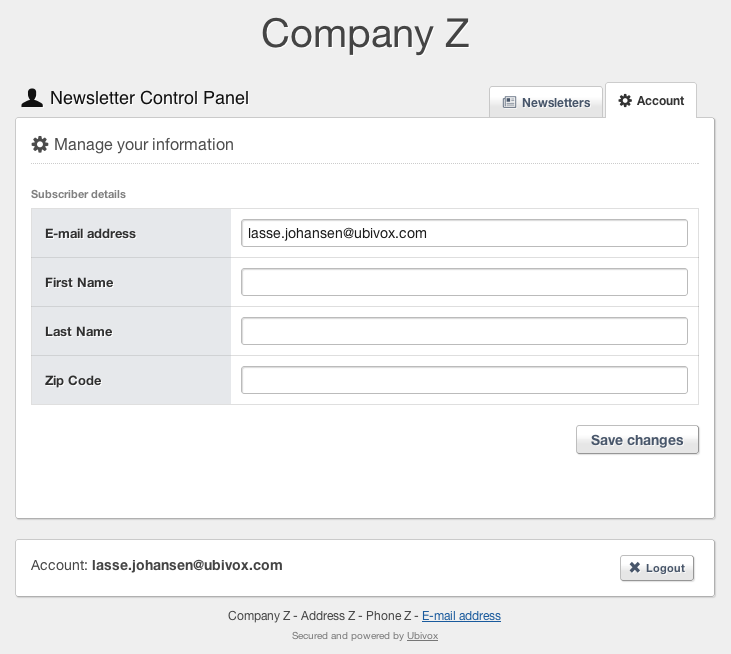 The Subscriber control panel is now created, and the next step is to remind you subscribers to update their contact information. You can add the link to a text string, or you can design a button, i.e. saying Update your contact information, to receive more targeted news from us.